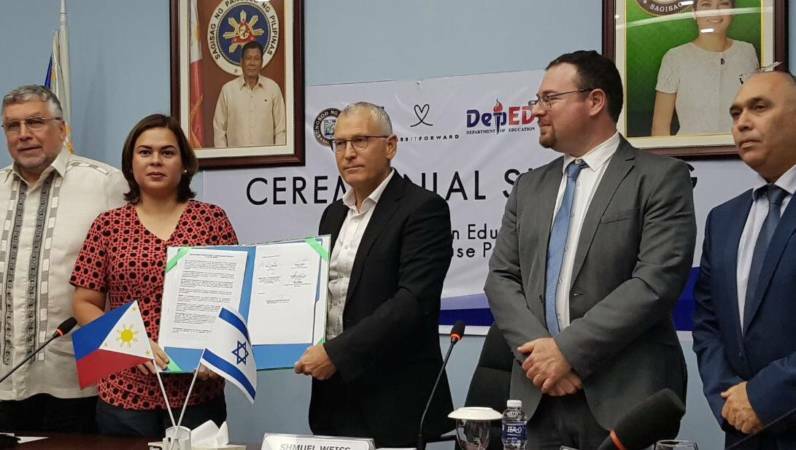 A memorandum of understanding for implementing the iSTEAM program in the Philippines was recently signed between the Sci-Tech Israel network, the city government of Davao in the Philippines and the Pass It Forward Foundation, under the auspices of the Israel embassy to the Philippines. The iSTEAM program, developed by the R&D and Training division at Sci-Tech, will be integrated into the educational network in Davao City, Philippines. 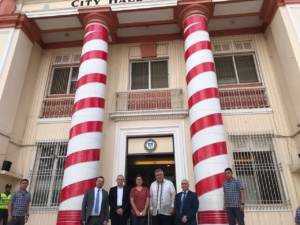 In November, 2017, an Israeli delegation for promoting economic and commercial cooperation between Israel and the Philippines returned from a visit to the City of Davao in the Philippines, after taking part in “The Colors of Israel” event there. Noted members among the delegation included representatives of the Sci-Tech Israel R&D and Training division: David Rosenberg, of the Content and Pedagogy department, and Sagi Ben-Bassat, of the Goralnik Institute for the Enhancement of Teaching and Learning at Sci-Tech. 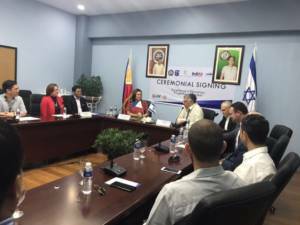 At the end of the visit, a memorandum of understanding about future cooperation was formulated and signed between the Sci-Tech Israel network and the Education Department of the Davao municipality. Members of the delegation were warmly welcomed and at the end of the visit. 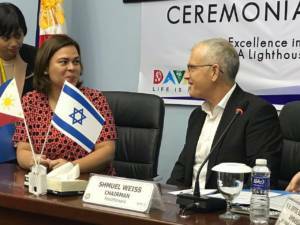 The memorandum was signed at a festive ceremony at the city hall, in which Sci-Tech representatives, the Ambassador of Israel, Efraim Ben-Matityahu, and the Mayor of Davao city, Sarah Duterte took part. iSTEAM is a curricular and pedagogical program designed to address the needs on pro-active learning suitable for the 21st century, including: relevance to the student, development of critical thinking, collaborative work, peer review, commitment to the group, and the ability to integrate various data sources and disciplines Science-technology education.